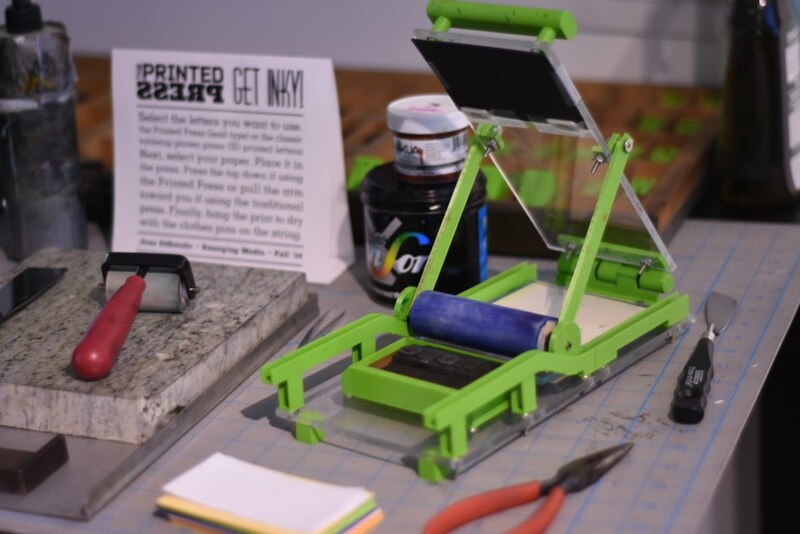 The Printed Press is a small letterpress built with 3D printed parts. The Printed Press is a small letterpress built with 3D printed parts. All of the sections of the press that are lime green were printed with an Ultimaker 2+. In conjunction with this experiment, 3D printed type was created as well. The type can be used in a traditional letterpress.